Are you looking for something to fill you up and keep you warm in the winter months? 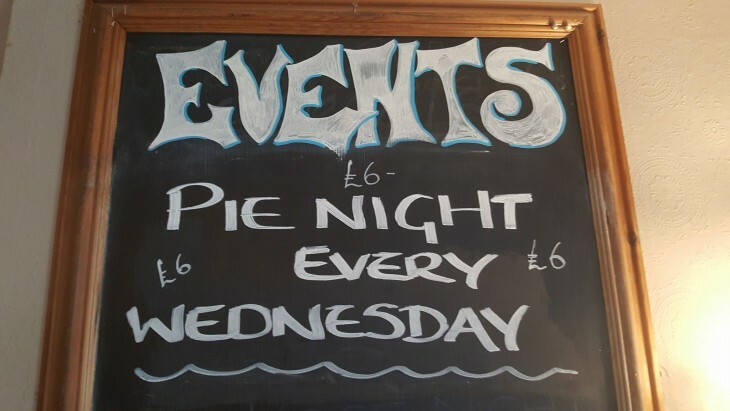 Look no further than Pie Night at The Travellers Joy! A choice of home made pies served with either chips or mash and peas! A bargain at only £6.00! Served every Wednesday from 6:30pm onwards! Book your table now by calling us on 01983 298024.